I’m Clare. I’m a UK-qualified trade mark attorney. 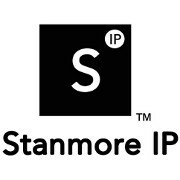 I founded Stanmore IP in 2015 to help clients protect, arguably, their most valuable asset. I’ll help in choosing, protecting, exploiting and maintaining your trade marks. If you need UK and EU-wide trade marks I do those directly, and any other country worldwide using my network of trusted people. Trade marks can be anything from a name, a logo, a shape and even a sound or a smell. The important thing is that it belongs to you, and identifies your business and no one else’s. It gives your customers a guarantee of what they can expect from you, your quality of service etc. Protecting it, and defending any misuse by others, helps to make sure that your customers aren’t confused into using another business, mistakenly believing it to be connected with yours. Stanmore IP is regulated by IPReg (the Intellectual Property Regulation Board) www.ipreg.org.uk and I’m a regulated trade mark attorney, plus a member of the Chartered Institute of Trade Mark Attorneys (CITMA).